I was so very relieved and excited to hear that I got the job I applied for!! It's a second job so it's only about 15 hours a week but the pay is so good I may be able to save my car AND pay off Jake's bass trombone. And, secretly, I'm pleased because I'm not too old for anyone to hire me and I did worry about that. So why that particular quote on top? Because that something good is....us. By quitting smoking, by getting healthier, by taking good care of ourselves, our bodies, spirits, and souls will take good care of us. I can't even begin to tell you how true I believe it to be!! I'm so pleased with myself for not shying away from getting a second job. I'm pleased that my yoga keeps me fit, focused, and strong. And I'm especially pleased to know that rather than relying on others to 'fix things' for me, I handle things. I fix them. It's a really good feeling after years of thinking I couldn't handle anything. I'm so far from perfect it's not funny. I have bad flaws. I don't have all the answers. I cry. I feel vulnerable. I am alone. But I am so much in love with my life that all those things...well....I handle them. I hope for each of you here that you realize how good you are and that you feel the satisfaction that comes with handling things. Knowing that you've got this. Feeling a kind of joyous peace that comes from knowing yourself and really, really liking who you are. Thanks so much, Jennifer I'm happy! You are such a beautiful person. I suspect your new employer is going to be grateful to have you. So glad for your good news. You deserve it. Barbara145, what a lovely compliment, thank you That just made my evening! Lol...and so I am Thank you for the adorable otter!! I agree that any employer should be proud to have you on their team! 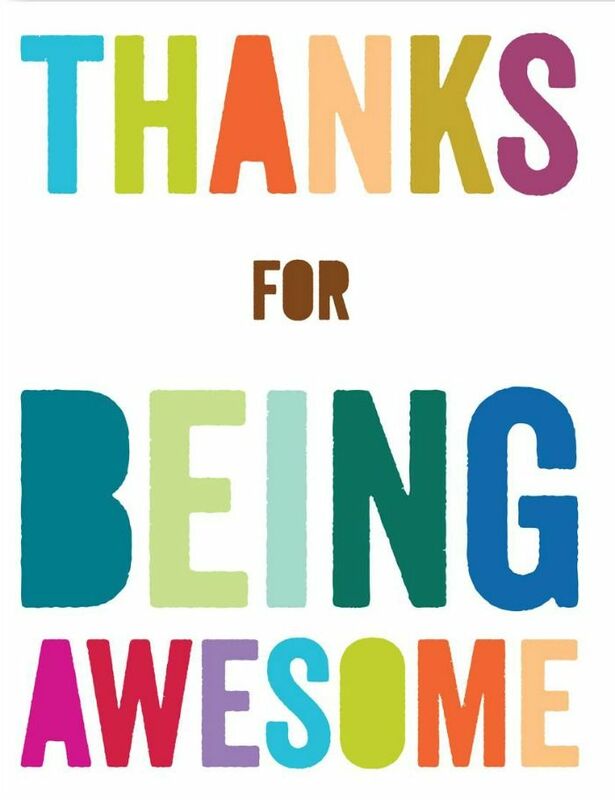 It has been said before and will be said again, you are AWESOME! You can do anything you want to do!! Congratz my Sweet Friend! Love you bunches! pir8fan, you spoke Here with me!! I'm honored, truly. Thanks for the vote of confidence As always, my biggest cheerleader and as always, I appreciate it and love you much!! Be well. So happy for you. Obviously it will help your income, but I hope it's soul nourishing as well. Too old to be hired? Surely you jest. The jobs that are important are the ones that hire those with the greatest wisdom of experience. I'll be teaching adult ed to inmates at the local jail. Yep, soul nourishing Or, at least, it should be but I'll let you know in a couple weeks for sure. I am loving that I can try it!! Whoo hoo I'm sooooooo happy for you I hope it'll be a job that you'll enjoy doing here's a humongous hug from me to you dear Sheri. Thanks, Marilyn!! You are the best Happy Thursday to you! Congratulations. You deserve the best. Life gets better in time and quitting is icing on the cake. Even greater you do not have to take any smoke breaks. Just keep living age is just a number. I have been 29 for almost 40 years,most days it works. Thanks, Jackie I don't mind my age but it was a factor in getting employment. One of my old bosses refused to hire anyone over the age of 29. May I add that you truly deserve the best as well!! If you've been 29 for so many years, it must be working well for you Much love to you and yours!! Congratulations on your new job. I'm sure you'll be outstanding. There is satisfaction with being able to handle things and having a feeling of independence, but....I could also use a break from handling everything! I hear you, Barb!! As a single parent for 29 years now, it would be nice to share the load, I think. But I'm comfortable wearing many hats now and truthfully, I don't know how well I'd share I think I'm so used to doing everything that it might be hard to let go. (Although I'd be very willing to try!!) Hugs to you, sweet friend, and may your load be light today!! I'm going to steal your quote, I know you won't mind if I share it somewhere else other than on EX! I love it Sheri! "I'll be teaching adult ed to inmates at the local jail." How enriching is THAT! I hope it's a voluntary course and not a mandatory one. CONGRATS ON LOVING N TAKING CARE OF U N LIVING NON SMOKER LIFE! CONGRATS ON NEW JOB! GOOD JOB! Oh my gosh, I am so happy for you!! Didn't realize you were a single parent. I'm also getting used to doing everything alone here, and by god, it does feel good! You are so right, Christine, it feel marvelous Good for you, my friend!! I love seeing you embrace life like this. You rock!!! Congratulations, Sheri. I am so happy for you. Any employer would be very, very lucky to hire you! I mean that. How lovely that the pay is good enough so you might be able to sort of "get ahead." This is wonderful - congratulations Sheri!